Certain criminal cases filed in Juvenile Court against a minor may be eligible for what we call “deferred entry of judgment”. In order to be eligible for deferred entry of judgment under Welfare and Institutions Code Section 790, a juvenile must be at least age 14 when the offense was committed and the offense must be a felony. In addition, the juvenile must not have been granted this relief before. The juvenile will be required to admit the petition and will be placed on probation for 1 year, but can be extended for a maximum of 3 years. If the juvenile completes the terms of his/her contract with probation and fulfills the terms of probation, the plea is automatically withdrawn and the matter is dismissed and sealed. In contrast if a juvenile has committed a misdemeanor offense and is placed on informal probation under Welfare and Institutions Code Section 654, the juvenile is placed on probation for a 6 month period and at the end of the 6 months, the juvenile must petition the court to seal his/her record. It is not a guarantee that the court will seal his/her record after the end of their probation. At Wallin & Klarich, our juvenile criminal defense lawyers have been helping minors for over 30 years to keep their record clean and avoid the often harsh punishment of juvenile convictions called “adjudications”. Wallin & Klarich understands that minors can make mistakes in life. It is our job and our responsibility to make sure these minors do not have to pay for that mistake for the rest of their lives. We are available 24 hours a day, 7 days a week. 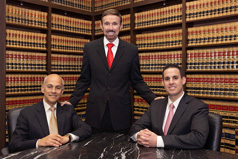 Our criminal defense attorneys have helped thousands of minors over the past 30 years, we can help you too. Do Minors Have a Right to an Attorney in School Discipline Cases? Do Juveniles Admit to Crimes They Didn’t Commit? Wallin & Klarich was established in 1981. Over the past 32 years, our law firm has helped tens of thousands of families in their time of legal need. Regardless of whether our clients faced criminal or DUI charges, the loss of their driving privilege, or wanted to clean up their criminal record, we have been there to help them.